1. Whisk first 3 ingredients in large bowl to blend. 2. 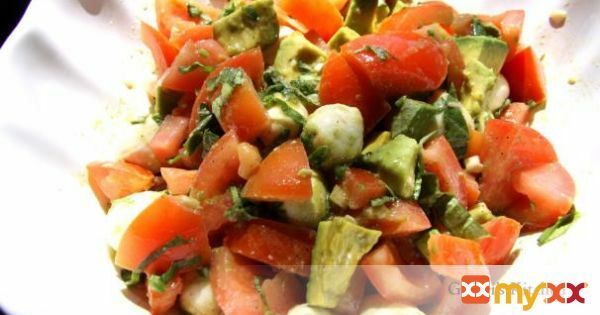 Add avocados, tomatoes, mozzarella and basil to toss.